Oswego, OR Scouts - c. 1916; Back row, 4th from left Luard L. Woodward, "Sporty" Woodward, Scout leader. 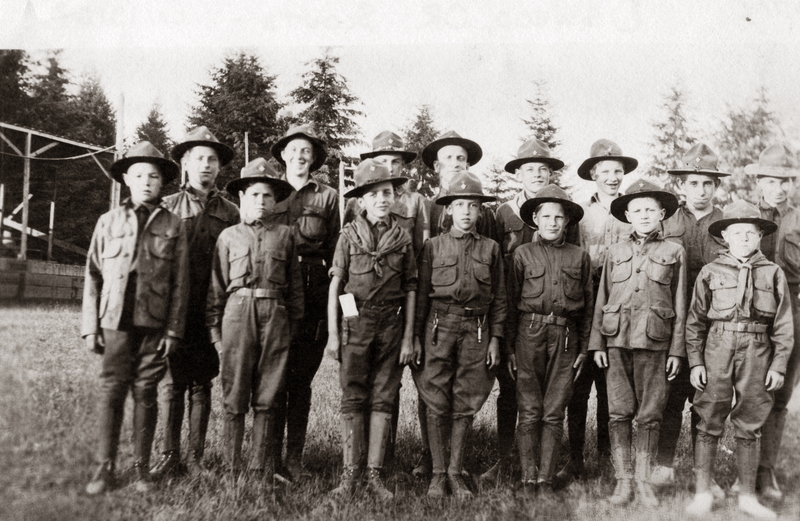 Description Group photo of Lake Oswego Scouts. Transcription Oswego, OR Scouts - c. 1916; Back row, 4th from left Luard L. Woodward, "Sporty" Woodward, Scout leader.